Asia Philanthropy Circle (APC), a network of philanthropists in Asia with a vision of a better Asia through philanthropy, regularly produces insightful resources for the sector to guide and improve their impact. With strong interest in Myanmar amongst its membership, APC produced the research, “Giving to Myanmar: A Guide for Asian Philanthropists”. 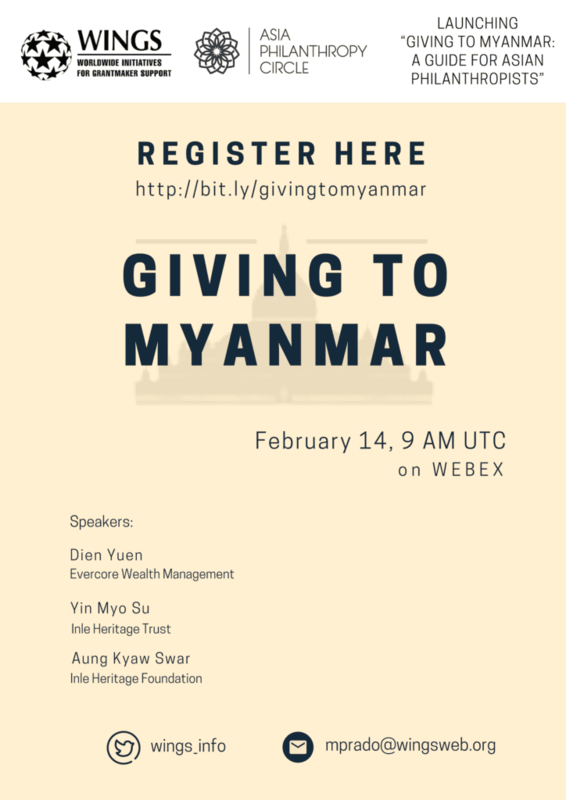 This is part of a series of Cross Border Giving Guides, which act as toolkits for philanthropists going into countries that they are not so familiar with. The guides provide a landscape review of the country, including recommendations from experienced practitioners on the ground, relating to the regulatory framework, cultural issues, sources for information, and case studies. For further information about the guide or speakers, please contact info@asiaphilanthropycircle.org.